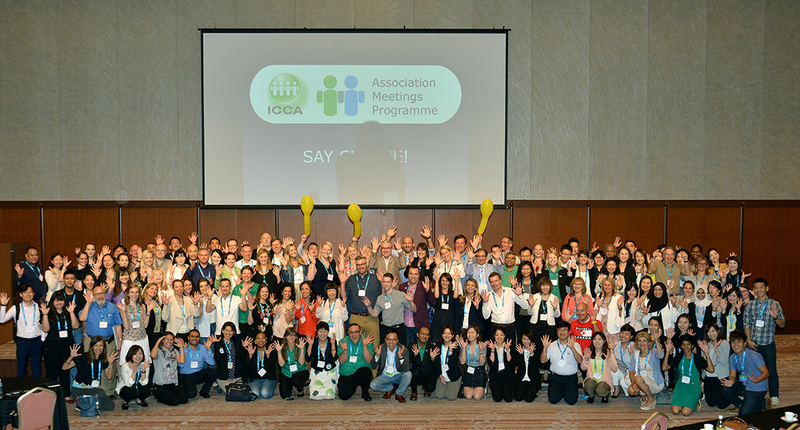 The Philippine Council of Associations and Association Executives (PCAAE), the country’s “association of and for associations”, was invited and was represented by its CEO & Founder, Octavio “Bobby” Peralta, at the Association Meetings Programme (AMP) organized by the International Congress and Convention Association (ICCA). The event was held in Fukuoka, Japan from June 29 to July 1, 2017 and was attended by 145 participants from 31 countries. Aside from the PCAAE, the Tourism Promotions Board (TPB) was also represented in the event. The AMP was developed by the Amsterdam-based ICCA to uniquely put together association executives and meetings professionals in one learning, sharing, and networking forum. In essence, the event serves as a “buyer-seller” meet-up, with associations as “buyers” of the services provided by the “seller” meetings sector (destinations, venues, conference organizers, meeting planners, etc.) who are member-constituents of ICCA. The AMP is also a strategic move by ICCA to relate to and engage more with the association community worldwide, realizing that associations are generators of most conferences, meetings and events. The 3-day program covered site inspections, seminars, discussions, business exchanges, and networking sessions with a “gamification flavour”, themed, “slay your meetings dragon” which encouraged participants to bring their most pressing challenges (“dragons”) when organizing events and to try to solve them (“slay the dragon”) at the AMP. This gamification idea was also conceived because the host city of Fukuoka is transforming itself into a technology and innovation business start-up hub of Japan. As part of the AMP faculty, Mr. Peralta co-handled a session entitled, “Practical Aspects of Association Management”, which covered four topics, namely, membership lifecycle, differentiating factors between association and corporate management, financial management, and fundraising. On membership lifecycle, the key message Mr. Peralta delivered to the participants was that there is such a framework called, “membership lifecycle”, which an association goes through in the normal course of its membership program and which consists (a) membership acquisition (awareness and recruitment) and (b) membership retention (engagement, renewal and reinstatement). On association vis-à-vis corporate management, Mr. Peralta’s main message was that there exists a field of management for associations which corporate management does not cover such as, among others, volunteer management, membership management, non-tax accounting, and fundraising.